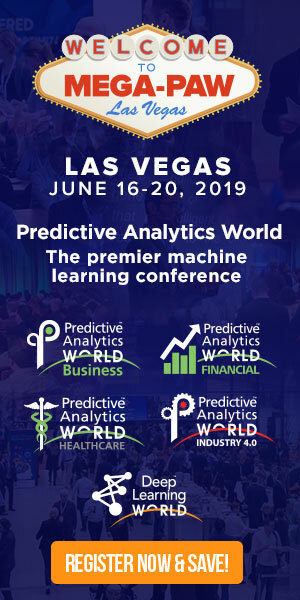 In anticipation of his upcoming conference presentation at Predictive Analytics World for Healthcare Las Vegas, June 16-20, 2019, we asked Cheong Ang, Workflow AI Project Lead at University of California, San Francisco, a few questions about their deployment of predictive analytics. Catch a glimpse of his presentation, A Practical Way to Deploy AI into Healthcare Workflows, and Enable Continuous Learning, and see what’s in store at the PAW Healthcare conference in Las Vegas. Q. In your work with predictive analytics, what area of healthcare are you focused on? A. The focus is on long-running outpatient workflows: the steps in onboarding, testing, treatment, and follow-up phases in Specialty Care, and the collaborative actions to close care gaps and engage patients in Chronic Care Management. In many cases, the appropriate next step(s) depends on the current patient statuses, including patient data in EHR, LIMS, and other systems, and also the current care workflow steps and details. Q. What outcomes do your models predict? A. The care teams strive for “no misses” in their care for a patient through long-running workflow steps. One miss, or misstep can lead to undesirable outcomes, including lower patient satisfaction, lost revenues, and worst yet patient-safety issues. Our models predict whether “patient dropouts” (of workflow, treatment plan, or care management program) are expected, and generally, what the appropriate next workflow steps are. Q. How does predictive analytics deliver value at your organization? What is one specific way in which it actively drives decisions or impacts operations? A. With predictions of expected/unexpected dropouts, and generally, appropriate next steps, our system uses its awareness of the care workflow to automate tasks, and drive specific collaborative actions among the right care team members via multi-channel communications, e.g. web app, emails, and EHR notifications. That way, we close the gap between predictive-analytics insights and the organizational goal of “no misses”. Q. Can you describe a successful result, such as the predictive lift of your model or the ROI of an analytics initiative? A. In a specialty-care program that saw 300 misses/missteps a year caring for 1000 patients, our predictive-analytics and care-collaboration system brought misses down to zero. The returns are in terms of improved patient satisfaction, minimized patient-safety risk, and additional revenues from the needed services. There is also an average of 1 hour per team member per day saved from trying to figure out what to do for those patients. This means the care team gets to spend more time on patient care instead of tedious patient-tracking work. Q. What surprising discovery have you unearthed in your data? A. The workflow process may not be as religiously carried out as one may think. In many cases, the volume of patients and amount of work per patient stretch the care team thin that misses/missteps become inevitable. Q. What areas of healthcare do you think have seen the greatest advances or ROI from the use of predictive analytics? A. Supporting clinical decision making, and extracting insights from big data have been among the popular use cases. Resolving operational inefficiencies and optimizing administrative workflows, as in our case here, are becoming more and more important lately. Q. Sneak preview: Please tell us a take-away that you will provide during your talk at Predictive Analytics World. A. Predictive analytics needs to be integrated into the workflow to unleash its potentials. Only that way, its insights can influence work, and work results (or lack thereof) can be fed back to the models to enable continuous improvements. 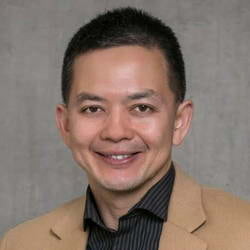 Don’t miss Cheong’s presentation, A Practical Way to Deploy AI into Healthcare Workflows, and Enable Continuous Learning, at PAW Healthcare on Tuesday, June 18, 2019 from 10:30 to 11:15 AM. Click here to register for attendance.